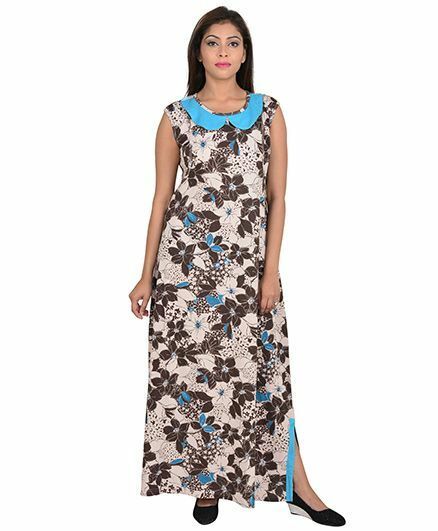 Nursing Night dress Stay relaxed all day long by wearing this regular fit Maxi night dress, featuring soft comfortable and durable fabric and a overlapped nursing opening for post pregnancy easy feeding. 9teenAGAIN helps expecting mothers to continue to look Stylish combined with Comfort during the nine months and beyond. With plenty of room for the growing bump, this dress is ideal for stylish mums-to-be! 9teenagain is one of the leading fashion destinations selling high fashion clothes and accessories. We want to offer our customers latest fashion at a reasonable price. We take our inspiration from the high end fashion of New York, San Francisco, Los Angles, Paris, Tokyo, and Shanghai. Our target customers are beautiful ladies aged 16-35 who love fashion and want to look different. We want them to look different and yet more elegant and fashionable in the crowd.